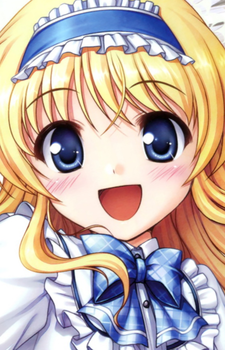 Kana is a girl with long, wavy blonde hair with a white Alice band and has a bright, polite personality. She is always active in contributing to the atmosphere in the room. She is a member of the Library Club and also has a part time job as a waitress. Kana has a mild allergy to cats.